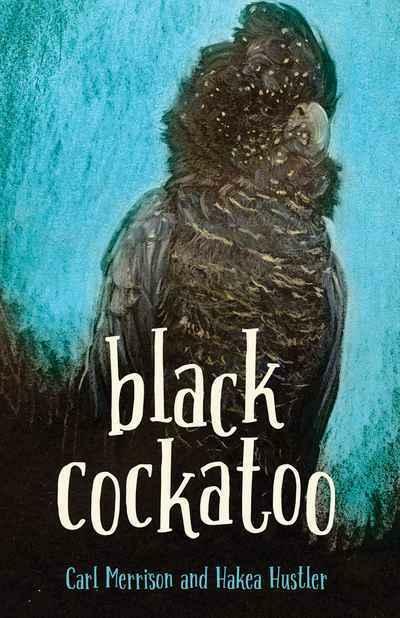 Black Cockatoo is one of the six books shortlisted for this year’s Readings Children’s Book Prize. Here’s everything you need to know about this quietly powerful exploration of family and culture. ‘Mia, a 13-year-old Jaru girl, cares for a dirrarn (black cockatoo) injured by her older brother Jy. As the cockatoo slowly regains its strength, Mia’s confidence grows. Mia is a sensitive observer of her world, feeling the undercurrents of tension within her family and community, particularly as Jy makes choices that distance him from their culture and traditions. Although Mia is apprehensive about leaving her home in a remote community in the Kimberley to continue her education, her connection to her culture helps her face the future with courage. Young readers who enjoy gentle real-world stories that depict complex sibling relationships, cultural ties and personal strength. It’s also a fantastic discussion-starter about kindness and compassion, and Jaru culture. For ages 10 and up. Carl is a Jaru/Kija man from Halls Creek in the Kimberleys in Western Australia. Carl loves spending time out bush with his family; fishing, hunting and swimming in waterholes; and footy. Carl was awarded State Finalist of the Australian of the Year Award- Local Hero for Western Australia in 2016 for his work as lifeguard, football coach, Clontarf worker and youth mentor. Hakea loves to write, draw, read and spend time with family, when she is not adventuring around Australia. She has lived and worked all over the country and has worked as a teacher and Head of Department. She has also spent time volunteering in Areyonga (a remote Aboriginal community just outside of Alice Springs) as a university student. Read more about the Readings Children’s Prize 2019 shortlist here. Shortlisted for the 2017 Text Prize, The Peacock Detectives is a delightfully Australian story about self-discovery and dealing with change for upper middle-graders. New York Times bestselling author Amie Kaufman delivers heart-pounding adventure and breathtaking magical inventions in this unforgettable story about finding one's place in a sharply divided world. This pack contains all six books shortlisted for the Readings Children's Book Prize 2019, available for a special price.